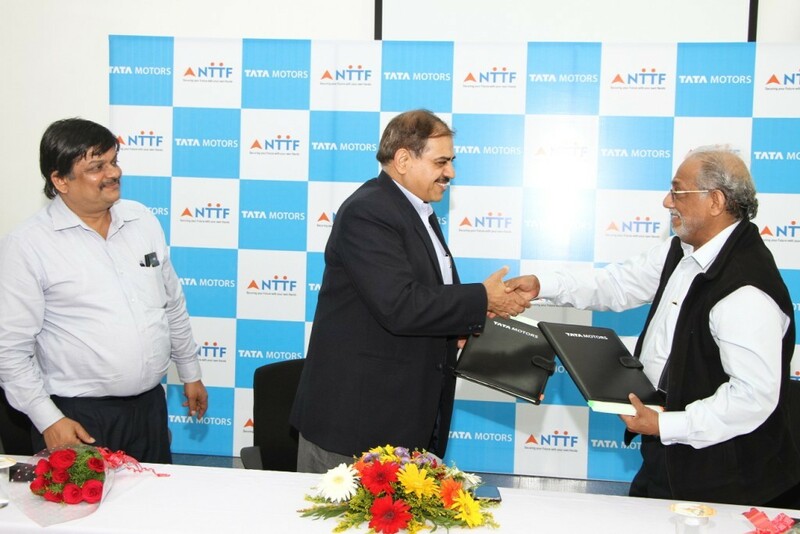 Tata Motors in association with Nettur Technical Training Foundation (NTTF) today launched the ‘National Employability Enhancement Mission (NEEM) – a nationwide skills enhancement initiative of Government of India. This initiative offers 2 year – certificate programme in automobile manufacturing, under the aegis of AICTE. The initiative aims to enhance employability through an objective of learn and earn, under which Tata Motors will bear all the expenses of training cost, fees of the selected candidates during the period of training. The apparent learning curve between the education imparted and imbibing on-ground skills, results in a void when it comes to hiring fresh talent by the industry. Hence, it is imperative to have programs like NEEM which provides technical training and enhances skill development by giving right kind of exposure and knowledge to candidates. We are keen to see the Indian industry becoming globally competitive with Tata Motors playing a significant role. Our focus is to create a right set of talent pool for the Engineering & Manufacturing Industry more so the Automobile industry and to promote employability through on-the-job training. Tata Motors is committed to build world-class skills including a mind-set of best-in-class quality, benchmark productivity, safety and discipline. The NEEM program, keeping in line with Indian Government’s‘Make in India’ initiative and our commitment to development of the local communities, will focus on building up the technical skill levels of fresh students and create industry-ready, skilled candidates. The course is designed into two parts – technical orientation delivered through class room sessions and on-the-job training in the world-class manufacturing facility. The program is divided under four semesters, each focusing on different kind of skill set. The NEEM trainees will be systematically trained in various aspects of automobile technology spread over four semesters. The first six weeks the trainees will be groomed on the behavioral skills combined with culture building at NTTF Campus, making them ready for the industry environment. Thereafter, the trainees will be taken through focused on-the-job training at jointly by NTTF and Tata Motors at the Dharwad plant. The course gives due importance to enhancing practical knowledge, improving the skill level of the candidates at TML facility and for the theoretical classes at NTTF. The youth will be trained by a blend of technical modules and self-developmental courses. They will be mentored and guided by industry leaders. Further to periodic assessment and on successful completion of the program, a certificate will be awarded jointly by NTTF and Tata Motors Ltd. The NEEM trainee has the choice & freedom to migrate to any other industry after course completion.